It’s not been a great week for Barcelona and coach Ernesto Valverde, but they’ll be looking to put that right against Athletic Bilbao on Saturday. After being held at home by Girona on Sunday, the Catalan giants slipped to a surprise defeat at Leganes in midweek as the pressure ramps up on Valverde and his players to deliver an improved performance and result. It won’t be easy against his former club, but the Spanish tactician will hope that those he puts his faith in will repay him and help secure all three points to get them back on track. However, two players who seemingly aren’t impressing him currently are Nelson Semedo and Malcom, with Don Balon reporting that the pair could face a lengthy spell being snubbed by the Barcelona coach if they don’t improve their attitudes and work harder to prove their worth to the side. It comes after the baffling decision to leave Malcom out of the squad this weekend, which has raised question marks in the Spanish media given there is no official reason for it, as noted by Sport. 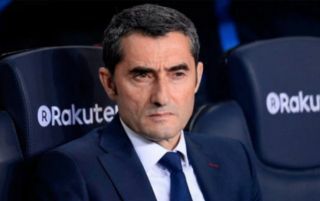 Perhaps it is a technical decision from Valverde to leave him out and ties in with the report above from Don Balon with regards to his unhappiness over the summer signing’s attitude currently. It will undoubtedly have been a difficult adjustment process for the 21-year-old after arriving from Bordeaux this past summer, and he’ll certainly hope to be given more opportunities to impress moving forward. He can’t do that from the stands though, and so time will tell if either him or Semedo will be able to dismiss these claims that Valverde isn’t happy with them, with the latter’s absence likely to be addressed by Sergi Roberto at right-back if he isn’t selected.